Hearing loss is a condition that occurs when the transmission of sound waves to your brain becomes impaired. This condition affects more than 23 million people in the United States, according to Dr. James Balch and Phyllis Balch, authors of "Prescription for Nutritional Healing." This condition may be caused by exposure to loud noises, high fever, nerve damage, infection, drugs or smoking. The Balches and other herbal medicine advocates believe that certain herbs may help prevent or reduce the progression of hearing loss. Check with your doctor before taking herbs to address hearing loss. The first recorded use of ginkgo dates back to about 3,500 B.C. in the Pen Tsao Ching. In this ancient herbal guide, emperor Sheng Nung recommended this herb for respiratory problems and heart disease, according to Michael Castleman, author of "The Healing Herbs." Ginkgo may also offer other medicinal benefits. It may increase blood flow to the nerves in your inner ear, which may improve hearing. Ginkgo may also help relieve tinnitus, or ringing in the ears, that can interfere with hearing. Talk to your doctor if you plan to treat or prevent hearing problems with ginkgo. This herb may interfere with your body's production of blood platelets, which are necessary for clotting and wound healing. Echinacea is native to the North America, and was used by the Plains Indians as a wound healer. In the 1800s, this herb gained the attention of European herbalists, who recommended it for snakebites. Echinacea contains antibiotic and antiviral properties, and may help prevent inner ear infections that can cause hearing loss. It may also reduce inflammation of the ear and sinus tissues. Consult your physician before using echinacea to prevent hearing loss. Although the Food and Drug Administration regards echinacea as safe, this herb may cause a tingling sensation in your mouth and tongue. 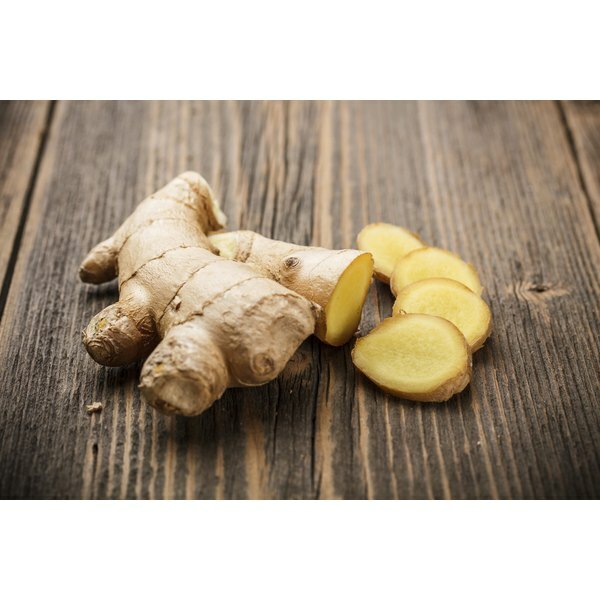 Ginger is an herb commonly used in Indian curries and Asian stir fry dishes. However, it may also have medicinal uses, according to Castleman. Ancient Chinese physicians recommended ginger as a remedy for colds and influenza. This herb is a natural antibiotic, and may help prevent infections that can cause damage to your inner ear, and to the nerves responsible for relaying sound waves to your brain. Talk to your doctor before using ginger for hearing loss. Although side effects are rare, this herb may cause stomach upset. What Ingredients Are in Mega Food Multi Vitamins?